For today’s 4th and 10, I’m going to summarize the division and conference races with the biggest playoff implications from here on out. I was going to do individual games, but honestly it was too hard to narrow it down to ten. Here at “4 Down” we’re all about doing things the easy way. Could an undefeated Group of Five Champion sneak into the playoff in the first year? Marshall is one of four undefeated teams left, and there can only be three at most who finish undefeated. Unfortunately, Marshall’s strength of schedule is horrific, like poor enough that I’m not confident they play a top 50 team this season bad. It’ll be fun to watch Rakeem Cato show out against an upper tier power conference team in a bowl game though. They’ll probably run the table and represent the Group of Five in the Peach Bowl. The ACC race is pretty simple at this point. Either FSU wins out and goes to the playoff, or they don’t and the ACC champ is relegated to the Orange Bowl. My guess is Florida State runs the table. I don’t see a losable game left on the schedule for them. Unless…Treon Harris is a star and by the end of the season has the Gators playing inspired ball. No, never mind, the Gators can’t beat Florida State, not even once out of ten times. There’s no playoff team here. Nebraska is sitting at one loss to Michigan State and 16th in the country. Also, Minnesota has only one loss. Minnesota won’t beat Nebraska though. The Gophers almost lost to Purdue, who is miserable. Nebraska probably wins this division and attempts to play spoiler to Ohio State or Michigan State in the Big 10 championship game. Although, if they go 12-1 and avenge their lone loss maybe they’re a playoff team after all. The Big 10 may not be as dead as we thought. Oregon is the only team with a shot here. They are probably the best chance in the Pac-12 in general. They still have to get past Stanford though, who has owned the Ducks the last couple of years. The Cardinal aren’t nearly as good as they have been though. Oregon probably wins the division, and is a conference title game from the playoff. Much like the Pac-12 North, there is likely only one team with a shot to make the playoffs. Georgia can do it if they win out and win the conference. 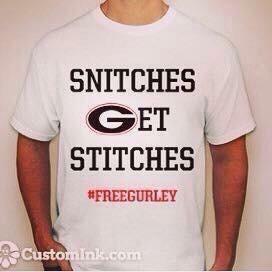 They still have to beat Auburn though, but they do get to play them in Athens. They also have to play Florida in Jacksonville, but considering Jeff Driskel is significantly better for his opponent than his own team I’d feel pretty comfortable if I were a UGA fan. This division comes down to the Michigan State vs. Ohio State game on November 8th. The winner of that game will end up winning the division, then if they get passed Nebraska in the conference championship game they’ll probably be a playoff team. Once again, the Big 10 isn’t as dead as we once thought. Many of you may be shocked to see this here, but you shouldn’t be. This division is wide open and full of one loss teams waiting to make a surprise run to the playoff. Utah, Arizona and Arizona State all have one loss, and none of them lead the division. USC is still first in the division, although a loss to Boston College likely took them out of the playoff. 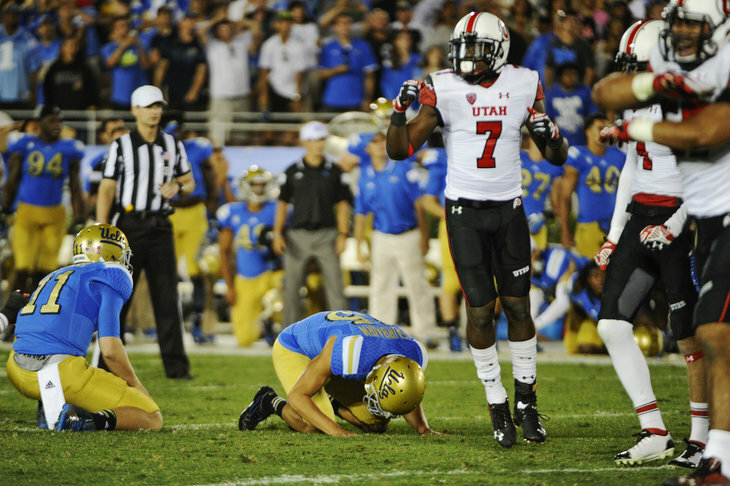 Preseason South favorite UCLA is still lurking with two losses as well. This is going to be an exciting division race for all you SEC haters out there. Did anyone read the title of this article and not know what was going to be number one? If so, contact me and I’d also love to sell you some waterfront property in Arizona. Four of the top five teams are in the division. Auburn still has to travel to Ole Miss and Alabama (and Georgia from the East). Alabama hosts Mississippi State and Auburn. 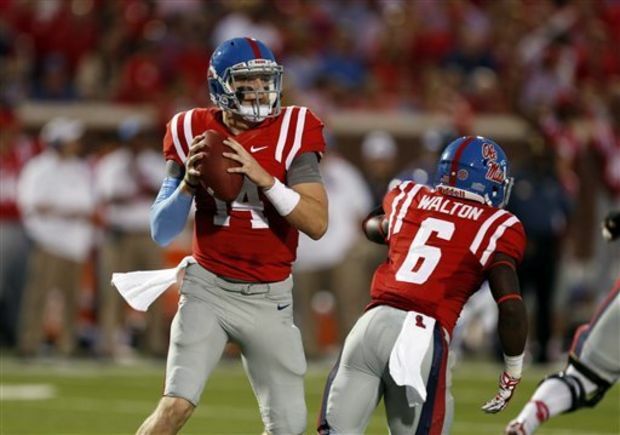 Ole Miss hosts Auburn and Mississippi State and travels to LSU this weekend. That game is also at night, so that won’t be a fun trip regardless if they win or lose. Mississippi State still has to travel to Oxford and Tuscaloosa. I don’t care who you are (looking at you Bob Stoops) this is the best division in college football, and it’s going to be the most fun race to watch play out over the next few weeks. The biggest question left is: what do we do if there’s a four-way tie for first?